This one foot thick, 2,850 lb. slice of Jade stands on display in front of the store. 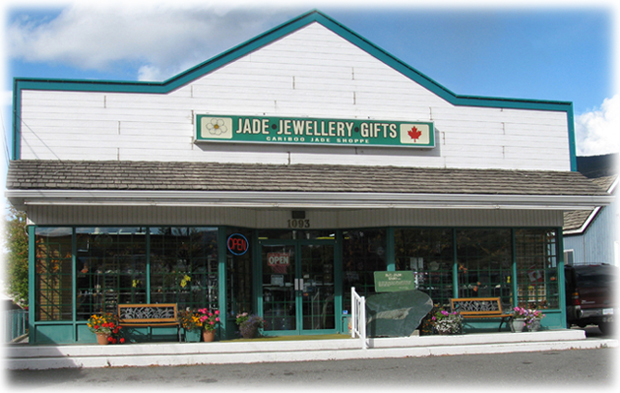 An independent, family owned and operated shop that has been providing travelers through the interior of B.C with unique gifts and souvenirs since 1967. 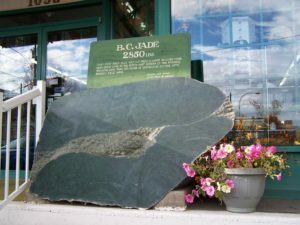 Many remember stopping in Cache Creek as a child, and now stop with their children or grandchildren to browse through the shop or pose for a photo with the large jade boulder out front. If you’ve been to our store, you know we have thousands of one-of-a-kind items – more than we can possibly list in our online store. We’ve selected a few of our favourite items to share – to see it all you have to come in person! 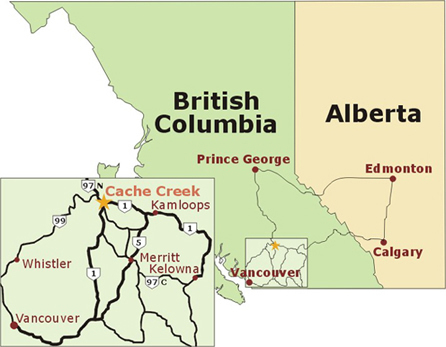 We are located at the Junction of Highway 1 (Trans Canada) and Highway 97 North in Cache Creek, British Columbia, Canada.